In this technical arena, PDF is the prominently used file format by many professionals. Many legal applications needed documents to have a serial number, this is called a Bates stamp. It printed in a specified location on each and every single page. Basically, this requires the purchase of a much more costly scanner that has an inbuilt printer. It is called as an imprinter or endorser to print the Bates number on the pages as they are scanned. If the PDF documents are being submitted electronically, the Bates stamp does not have to be physically printed on the page. You can easily vary the headers and footers within a PDF document. 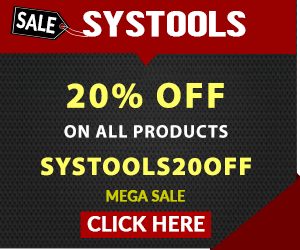 Mainly, users looking for an alternative to Bates stamp PDF documents. So, in this article, we will be going to discuss the manual and professional solution to do the same. Step 1: Initially, select Tools then Edit PDF (the edit PDF utility set has appeared in the secondary toolbar). Step 2: Now, in the secondary toolbar, select More >> Bates Numbering >> Add. Step 3: Here, in the Bates stamping dialog box, click on “Add Files” then opt Add Files, Add Folders, and Add Open files. Then choose the desired files or folder to bates Stamp PDF documents.Note: If any documents are password-protected, one or more messages display, in which you must insert the proper password. Step 4: As per requirement, do any of the following in the list of files:To change the order in which Bates stamps are appointed, choose a file, then drag it or click on Move Up or Move Down.For sorting out the list, click on a column name. And click again to sort in reverse order. Step 5: Afterwards, to identify a target folder for resultant files and file name preferences hit on Output options. Specify the options as required, and then click on OK. Step 6: When you have added and arranged the files as desired, click on OK. After that, in the “Add Header And Footer” dialog box, select place the insertion point in the suitable box. Step 7: Then click on “Insert Bates Number” and enter the following to finally bates stamp PDF documents:In the number of digits, identify how many digits make up the Bates number, adding any number from 3 through 15. The default stamp is 6, which produces Bates numbers such as 000001, 000002, and much more.In begin number, add the number to appoint to the first PDF on the list. The default number is 1.In the preface, enter any text to display before the Bates number.In Suffix, add any text to appear after the Bates number. Step 8: At last, click on OK after that make any other changes to the settings, as you would for any other header and footer. Step 1: First of all, opt Edit >> Advanced Search. Step 2: Now, in the search word or phrase text field, add all or part of the Bates stamp.Note: For instance, to find a specified PDF document when you know its Bates number, type in the whole number as the search text. To find any document in a Bates number sequence, type in a separate portion of the Bates series. Step 3: Under where would you like to search, choose all PDF documents option. Step 4: Here, click on “Browse For Location” and indicate the location. 1. Firstly, open the PDF document consisting of bate numbers. 2. Then, select Tools option and then Edit PDF. 3. Finally, in the secondary toolbar, select More >> Bates Numbering after that Remove. As we all know, that the above-stated manual way to bates stamp PDF documents having some constraints. To overcome all the disadvantages here, we come up with an effective alternative named as PDF Bates Numberer tool. With the help of this software, a user can easily add Bates number to PDF document within a few clicks. 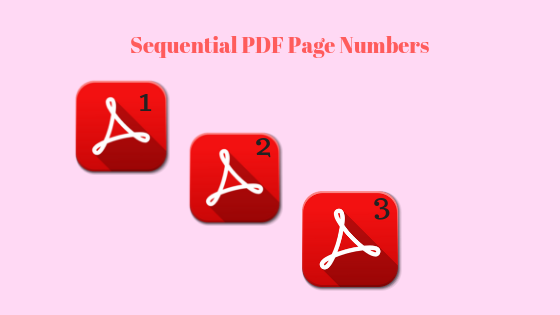 This numberer utility generates or adds page number on several PDF documents at once. Mainly, it allows taking printout after adding Bates stamp to PDF file(s). Provides an option to add prefix and suffix along with the PDF page number. Moreover, it is capable enough to perform the procedure without wasting your valuable time. In this write-up, we emphasize methods to add Bates stamp PDF documents. Basically, we discussed the manual solution. But, free way have some limitations. So, it is recommended to opt an automated solution “PDF Numberer” application. This facilitates an understandable user interface even a novice user can also avail it. This software applies Bates stamp/number to PDF documents without any hindrance. Thus, it totally depends on you which one you need to choose. You can go with any one of them as per your desire.